Let’s get started. This section will help you find out more about your group’s interests and attitudes to theatre while facilitating them in voicing their own views. Some young people may have already seen dozens of shows. Others might be experienced performers or have worked backstage. Some may have never set foot in a theatre in their life. After Workshop 1, participants should be at ease and will have begun to build a shared vocabulary and understanding of theatre. 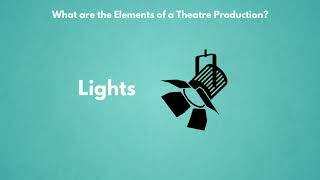 What are the Elements of a Production? Who are the People Involved in a Theatre Production? 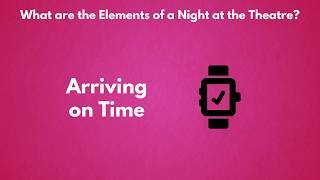 What are the Elements of a Night at the Theatre? 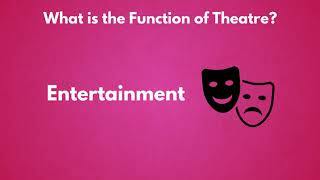 What is the Function of Theatre? 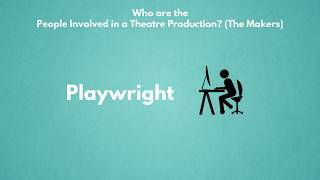 TheatreTrust.org: Who works in a theatre?